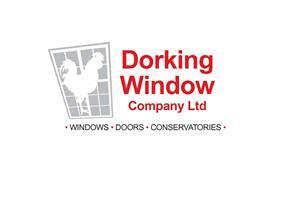 Dorking Window Company - Windows/Doors/Conservatories based in Dorking, Surrey. Invoice history based on 548 reviews. Dorking Window Company Ltd offer the finest personalised service in the supply and fitting of top quality windows, doors and conservatories in the Dorking and the surrounding areas. Whether you need windows and doors for a new construction project or you are simply thinking about replacement windows for your home, we have the product to suit your needs. In the interest of meeting our clients’ high standards and to ensure the highest level of satisfaction, we have a strict NO high pressure sales tactic. We offer FREE quotes and estimates to all customers. A family company, much of our business comes from satisfied local customers who return to us again and again as and when needs arise. Recommendation is also a big part of our business and we feel privileged to be recommended for a job well done. We offer a personal service and quality products that you can't always find in larger businesses, and we always strive for customer satisfaction.